Should I Invest in Heating Oil? What Do the Experts Think About Heating Oil? How Can I Invest in Heating Oil? Ready to Start Trading Heating Oil? How Does Heating Oil Act as a Home or Business Cost Hedge? Homeowners with high annual heating bills may want to buy heating oil to hedge these expenses. Businesses that depend on active operations during the winter months, such as restaurants, ski resorts and hotels, may want to buy heating oil to hedge the unpredictable variable cost of heating their properties. 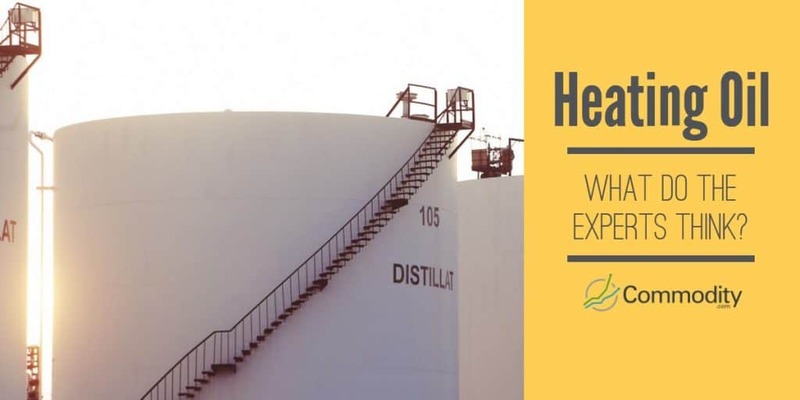 Heating oil investing provides a way to express a bullish view on crude oil. Investors optimistic about global growth and pessimistic about the supply of fossil fuels available to meet demand may want to invest in heating oil. As emerging market countries modernize their economies and build more housing and businesses, the need for fuels to power factories and heat buildings will grow. The same supply/demand imbalances that favor crude oil should also benefit heating oil. A weaker US dollar is generally positive for the entire commodities complex, including heating oil. Investors who believe that debts and deficits in the United States will pressure the dollar over the long run may want to place some of their investment funds in commodities like heating oil. Heating Bill Hedge: People who live in cold climates and use heating oil to heat their homes may want to invest in the commodity in advance of the winter months. Using a heating oil investment to protect against the cost of winter utility bills may be a sensible risk mitigation strategy. Bet on Growth: Investing in heating oil also provides a way to bet on global economic growth. As emerging markets expand, many analysts believe that fossil fuel demand will outstrip supply and lead prices higher. Also, newly developed areas often lack natural gas infrastructure and need heating oil as a source of fuel. Diversify Your Portfolio: Heating oil may be a viable way to diversify an investment portfolio. Most traders have assets heavily concentrated in equity and fixed income markets. Commodities provide diversification as they generally have low correlations with stocks and bonds. Warmer than average weather could send prices lower. Strength in the US dollar could produce weakness in commodities prices including heating oil. Alternative sources of heating and technological advances in insulation materials could depress demand for heating oil. Most experts agree that the price of heating oil is closely tied to both crude prices and refinery capacity. 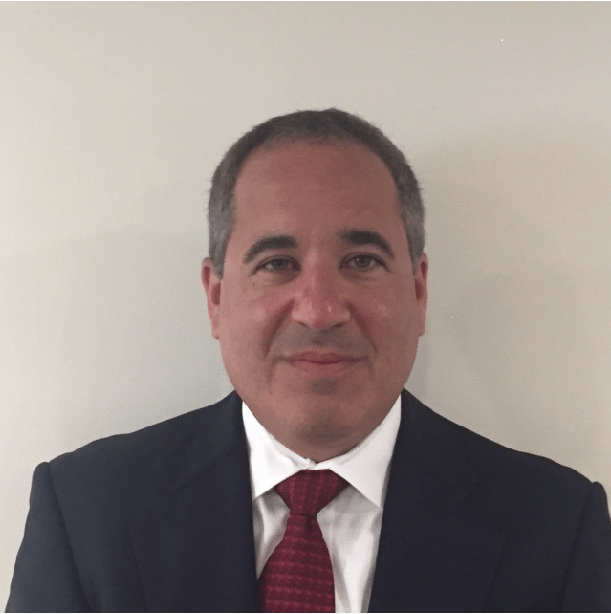 The New York Mercantile Exchange (NYMEX), a commodities and futures exchange operated by the Chicago Mercantile Exchange (CME), offers a heating oil futures contract that settles into 42,000 gallons of heating oil per contract. The contract trades globally on the CME Globex electronic trading platform. Futures are a derivative instrument through which traders make leveraged bets on commodity prices. If prices decline, traders must deposit additional margin in order to maintain their positions. Heating oil futures contracts expire on the last business day of the month preceding the delivery month. At expiration, traders must either accept physical delivery of heating oil or roll their positions forward to the next trading month. Investing in futures requires a high level of sophistication since factors such as storage costs and interest rates affect pricing. The NYMEX offers an options contract on heating oil futures. Options are also a derivative instrument that employ leverage to invest in commodities. As with futures, options have an expiration date. However, options also have a strike price, which is the price above which the option finishes in the money. Options buyers pay a price known as a premium to purchase contracts. An options bet succeeds only if the price of heating oil futures rises above the strike price by an amount greater than the premium paid for the contract. Therefore, options traders must be right about the size and timing of the move in heating oil futures to profit from their trades. Heating oil options contracts expire three business days prior to the expiration of the underlying futures contract. There are many companies engaged in extracting, refining and selling crude oil and crude oil products. While these companies are not pure-play investments in heating oil, the performance of their shares is correlated with crude oil and refined crude products. Shares of oil companies also react to other factors including the performance of management and the stock market in general. New York (NYSE) 1908 74,000+ Burmah Oil Company, the company that eventually became BP, was the first to discover oil in the Middle East. American multinational oil and gas corporation. New York (NYSE) 1999 80,000+ Largest refiner in the world with a capacity of nearly 6m barrels per day. Amsterdam (Euronext) 1924 100,000+ Total has over 900 subsidiaries covering all areas of energy. New York (NYSE) 1907 90,000+ Shell has over 40,000 service stations worldwide. One way to invest in heating oil is through the use of a contract for difference (CFD) derivative instrument. CFDs allow traders to speculate on heating oil prices without purchasing ETFs, futures, options or shares of oil companies. The value of a CFD is the difference between the price of heating oil at the time of purchase and the current price. CFD traders, therefore, have direct economic exposure to the commodity. Many regulated brokers worldwide offer CFDs on heating oil. Customers deposit funds with the broker, which serve as margin. The advantage of CFDs is that traders can have exposure to heating oil prices without having to manage complicated futures or options positions. 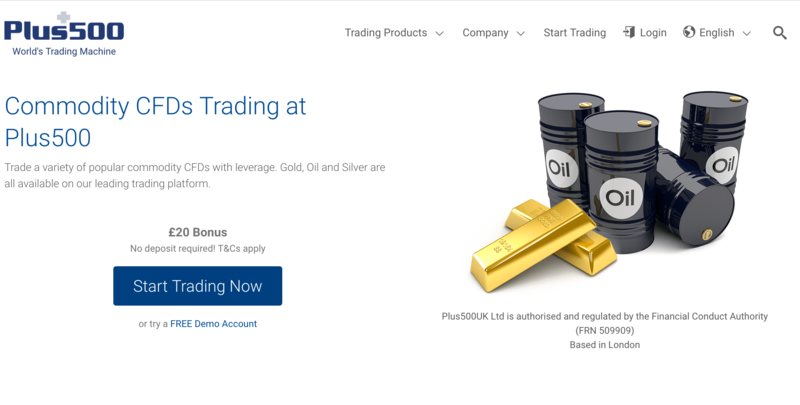 Plus500 is one of the top brokers in heating oil CFD trading. CFD Service. 80.6% lose money.